Levi's Branding + Entertainment — Coupler Mfg. Co.
Conceptualized by Denton-Cardew Design, Coupler was hired to remodel their Hollywood, CA showroom and transform it from a cluttered and overwhelming experience to a space that allows product stories to be told and digested. 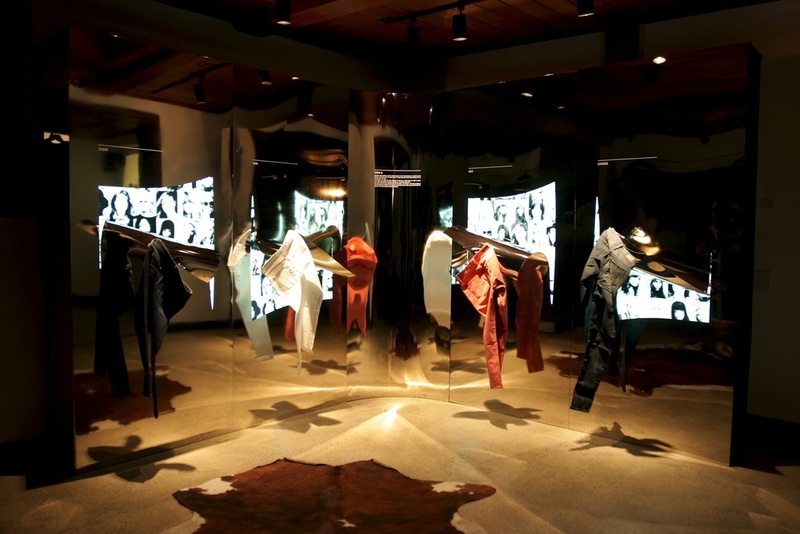 The entire journey and service was tailored to Levi’s exclusive clientele. 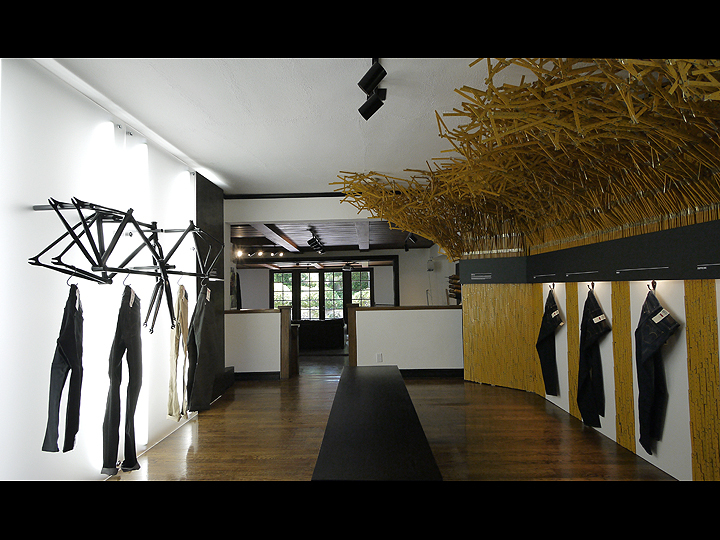 From the reception area to the private fitting room, the collection presentation areas were all crafted to elevate the experience while building brand confidence and intrigue. The vaulted ceiling attic was also converted to a fully equipped design and work space that can accommodate photo shoots as well as board meetings. Denton-Cardew Design also selected all the furniture not only because of its modern and crafted aesthetic, but also because it needed to work and feel effortless in the 1930s bungalow. An identity system, visual center and a complete set of collateral such as stationary, bags, boxes and notebooks were designed to complete the project. Included photos are displays of Curve ID, Commuter, and Trucker. Custom Fabrication and Installation by Coupler Mfg. Co.